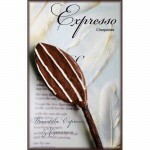 The Chocsiqles are light & soft cake-bonbons-on-a-stick filled with a fruit or herb filling and coated with a layer of thick crunchy chocolate. 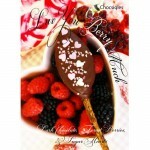 All our Chocsiqles chocolate lolly’s are freshly handmade and prepared in a traditional way. You will receive 8 Chocsiqles, beautifully arranged in a luxurious pastrybox : shimmering lilac or beautiful bronze.Orders are freshly made to order and shipped within 1-3 working days. 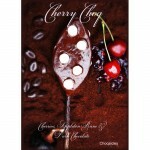 Pure fruit delight on a licorice stick: buttery soft chocolate cake filled with cherries and a hint of Appleton rum, covered with a thick layer of dark chocolate. 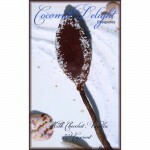 Imagine yourself on a bounty island with our Coconut Delight! 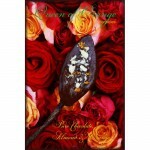 A lovely buttery soft cake with real Madagascar vanilla and a filling of coconut – lavishly dipped in a milk chocolate. Take a walk on the wild side … Pure seduction in a crispy layer of dark chocolate: creamy vanilla cake sprinkled with espresso and a hint of cinnamon. In the distant past, lemons, and limes were so rare and special, that kings received them as gifts . And we have put all the flavoury goodness of these fresh guys into our newest flavor Chocsiqle as a wonderful gift for you ! 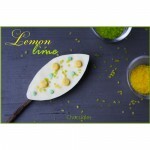 Creamy vanilla cake, fresh lemon butter cream and pieces of candied lemon, coated with a thick layer of white chocolate . Our Queen of Orange Chocsiqle is a royal class treat for your tastebuds! Made with dark chocolate a soft vanilla cake interior, crunchy almonds and a swirl of fresh orange. 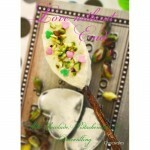 Pure indulgence! Enough with the boring chocolate letters! 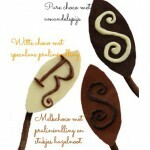 Surprise your loved ones with our Sinterchocs (superyummy cakebonbons on a stick, with your own chocolate initial on it!)! 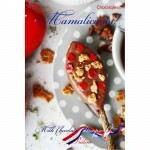 -Milk Chocolate with a vanilla cake filling, hazelnut cream and bits of crunchy hazelnut.